Nowadays we call them playlists on our handy, portable electronic music-playing devices that hold thousands of songs. Back in '97 though, what people did was record their favorite songs from their CD collection onto a blank cassette tape (or perhaps burn songs on to a CDR, but if you couldn't afford a newer model computer- or any computer- you were stuck with what your dual-cassette CD boom box could do.) Everybody's car had cassette players back then, at least if you were a college kid on a working-class campus. So a mix-tape was a handy, portable, personalized collection of you favorite songs. For Dream Theater, who are famous for writing very long songs, often exceeding 10 minutes, I needed the 'top-of-the-line' from what blank cassettes had to offer: a 120 minute, TDK, Heavy-Bass Performance, CD BASS cassette. Note that this IS a longer playing time than you can get out of a CDR in music format (80 minutes). 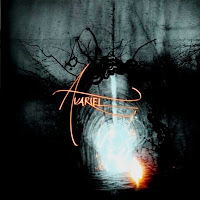 Although they have disbanded recently, under amicable terms, to pursue other ventures in life and music, Avariel were an impressive symphonic-metal band while they lasted. I even had the pleasure to see this Boston-based quintet live when they made their way to Chicago for Dame-Nation 2011. You may remember from my review of the show where they were the closing act. They even featured a top-notch cover of Metallica's 'No Leaf Clover'. I've always thought the best metal music is that which combines harsh and brutal elements with melodic and beautiful ones. Avariel fit that criteria perfectly. Their guitar parts are often thrash-inspired, sometimes progressive-metal, sometimes melodic. They bring keyboards into the mix, making 'symphonic metal' perhaps the best label for their sound. Singer Shannon Kelly's vocal style is on par with several iconic female metal singers, like Evanescence's Amy Lee, Lacuna Coil's Cristina Scabia, or Epica's Simone Simons. The Dawn's opening song, 'Bleed', begins with a killer-heavy riff. Then Shannon adds her operatic voice to the mix and reveals Avariel's dynamic sound. A touch of blast-beat drumming in moderation makes this song a perfect opener for what proves to be a great album. 'Tunnel's Light' is quite different; a softer, slower song with the verses being driven almost exclusively by the rhythm section. Guitars and keys come in at the choruses to provide a fuller sound. The third track, 'Emotionless' is a dark ballad, and features a good keyboard solo. 'Victim', the album's fourth track, is perhaps where Avariel reveal their dark side. This is a fast-paced, aggressive song. Vocally, Avariel add a new element here as well, as guitarist Scott McDonald provides death-metal style singing, contrasting Shannon's pretty voice. The next two songs, 'Still' and 'Especially Alone', revert back to a softer feel again. 'Still' is a somber sounding gothic ballad, while 'Especially Alone' is more of a traditional ballad, primarily featuring piano to carry the song. Lyrically it includes the line "...Waiting for the Dawn", making it almost like the unofficial title-track for this album. Of all the songs on this CD, 'Especially Alone' is the one I can compare most directly to Evanescence. If you're a fan of theirs, then you should check out this song in particular. 'In Heaven' is one of my favorites. I am tempted to call it the best song on The Dawn. Stylistically it may be a bit of a departure from the other songs on the album, but it's built upon a heavy guitar riff that strikes me as such a classic, I'm again transported back to the glory days of thrash metal. Avariel simply make this song rock! 'Dark Harbor' has a keyboard intro that sets a scary tone, it sounds like it came straight out of a horror movie, and the rest of the song is top-notch gothic metal. The final track: 'Phoenix'. Here's Avariel's most ambitious song yet. An epic, progressive, symphonic metal masterpeice. Nearly 12 minutes long, this is melancholic, symphonic heavy metal at its best. From a melodic piano melody at the beginning, it goes through a few key changes where the band expands upon a few different song segments and progressions. A few minutes of instrumental jams tie the different phases of this song together, and by the end you find it has come full circle. A perfect climax of a well-written independent debut! European power metal is a growing genre at the moment. There are dozens of bands out there to be discovered if you like the style of metal that includes DragonForce, Savatage, Iced Earth, Blind Guardian, etc... In the last several years, one particular indie-label out of Italy has been signing bands that follow the influences of some of those artists: Metal On Metal Records. One band from this label that has caught my ear is Wishdoom. Wishdoom are a band from Greece, delivering their style of power/doom metal with a passion. Today I'll look at their debut release from last year, Helepolis. Helepolis is a solid power metal effort by Whisdoom. The primary formula for their songs is heavy, mid-tempo guitar riffs, clean and wailing vocals, a somber or melancholic tone, omnipresent keyboards backing most of the songs, and melodic electric guitar solos. If I were to compare their sound to other bands I'm familiar with, I might use names like Queensryche, Fates Warning, or even Dream Theater. Wishdoom do show elements of progressive metal, but they primarily focus on traditional song-structures featuring themes of fantasy, medieval battles and mythology. From my perspective of classic and thrash-oriented metal, I really enjoyed listening to Helepolis. I hope you take a minute to listen to them as well. 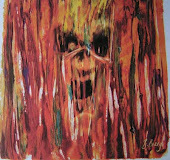 You can buy their CD or download this album through Metal-On-Metal Records' website, Century Media, or CDBaby. The 2nd track, 'She's the Woman', is a bit better, but where Van Halen really grabbed me was on the 3rd track, 'You and Your Blues'. This song finally displayed one of those intricate riff-structures, and crisp tonality that I could believe came from Eddie Van Halen. This is also one of several tracks that almost seem surreal to me as I listen to it, for the guitar tone sounds like Hagar-era material, but with Dave on vocals it almost catches me off-guard. This subtle, new combination of previous elements is a big reason I find A Different Kind of Truth to be such a redeeming listening experience. There are times when the vibe on this album can't help but be compared to the 'classic' Roth-era material, and rightly so! Sometimes it really does feel like the good-ole days of Van Halen again. 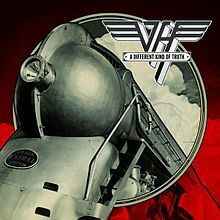 However, it's not usually a good thing for any band to stagnate in their own past for too long, and there are enough instances of new and modern sounding passages on this album for me to finally have faith in Van Halen once again. I just hope their next album will not take another 14 years to make.